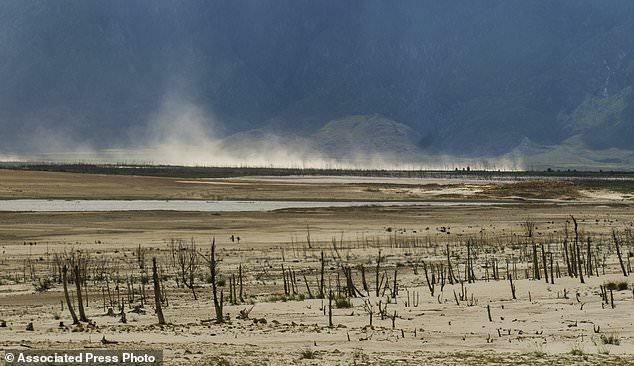 Cape Town's date with destiny as the world's first major city to run dry, looms. 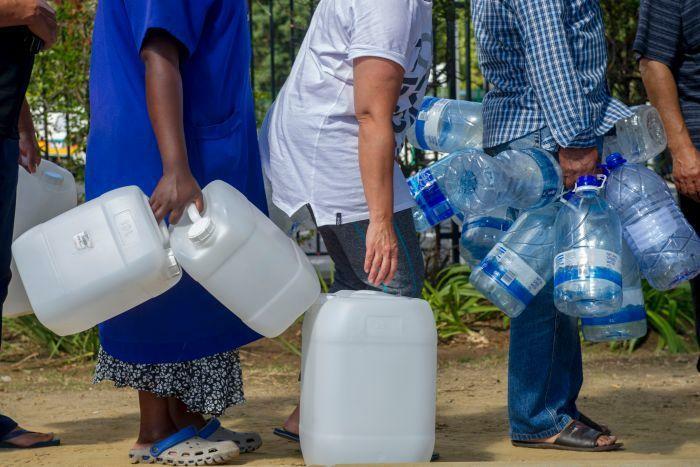 With the so-called "Day Zero" less than 3 months away, security forces have been drafted to guard water-collection points and Capetonians have turned to prayer sessions for hope. 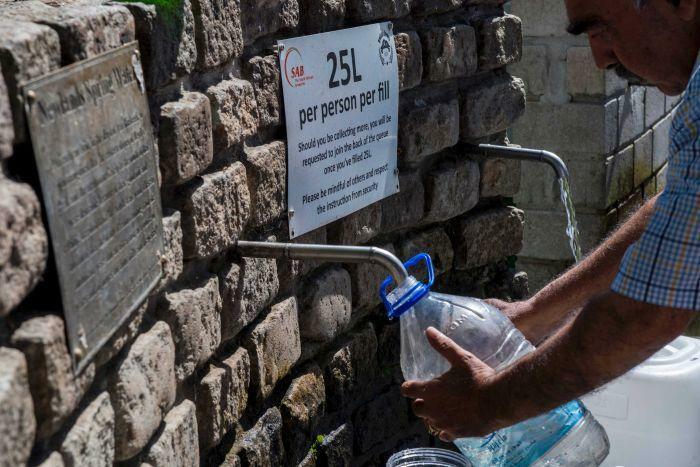 Not missing the opportunity to levy extra taxes on the populace, the city mayor has also impeded a “drought charge” in order to fund new water projects, such as constructing desalination plants. 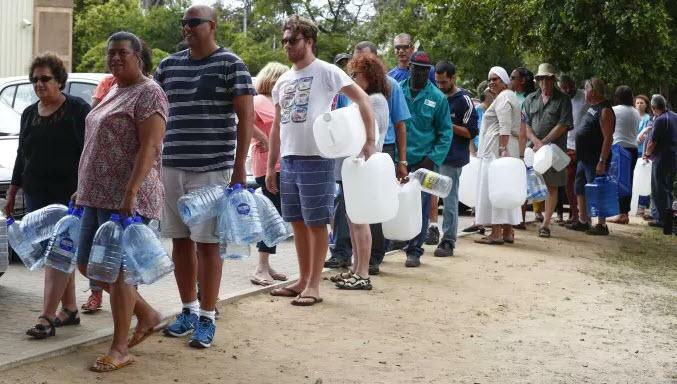 But today, Cape Town's leaders have instructed residents to use only 50 liters of water daily from Feb. 1, down from the current 87-liter limit. Security guards made sure people took only an allotted amount (25 liters maximum in one line and 15 liters in another 'express' line). 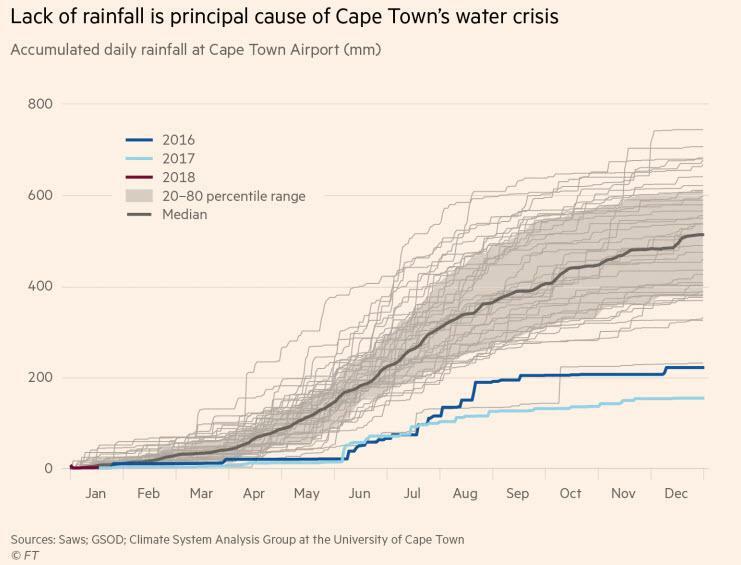 As The FT reports, climatologists say that another year of drought cannot be ruled out. They add that Cape Town’s stark inequalities have exacerbated the crisis. Vast lawns and swimming pools in mainly white suburbs are draining away efforts to conserve resources, they say. 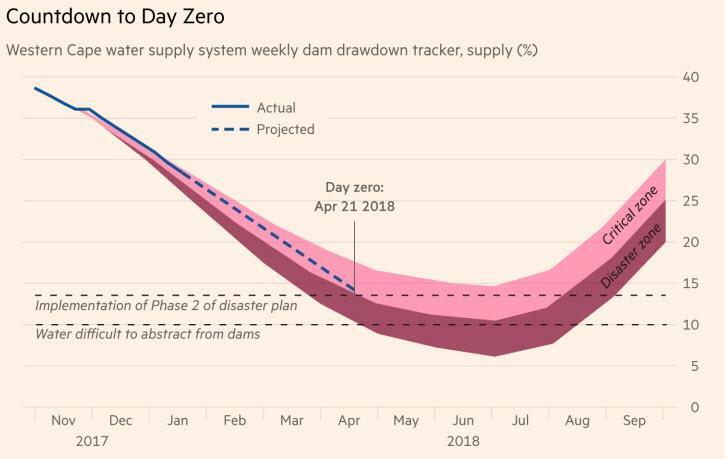 'Day Zero' is projected to arrive on April 12 but some fear it could come sooner, while others hope it won't happen if rationing works and rains eventually come. If 'Day Zero' arrives, many people would have to go to collection points for a daily ration of 25 liters.